St. Petersburg, without doubt, is the most beautiful city in Russia, but it can also be safely included in the number of the most interesting and spectacular European cities. Therefore, it does not surprise us at all that there are streets in a number of Russian and European cities that bear the proud name of the second capital of Russia. 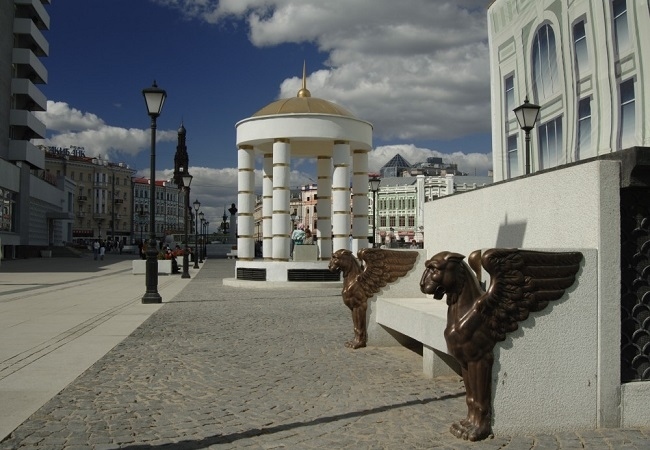 There are quite a few streets in Russia with a similar name, but perhaps it is the pedestrian part of Petersburg Street in Kazan that can deservedly be called a small branch of the Northern capital in Tatarstan. There is everything here: fences, bridges and even pavement patterns of the pedestrian esplanade as a symbol of the famous St. Petersburg canals. Also, the street is interesting for its sculptural compositions and small architectural forms. For example, at the beginning of the street you can find a monument to Lev Gumilyov, and at the end - a rotunda, eloquently hinting at the Kazansky Cathedral in St. Petersburg. 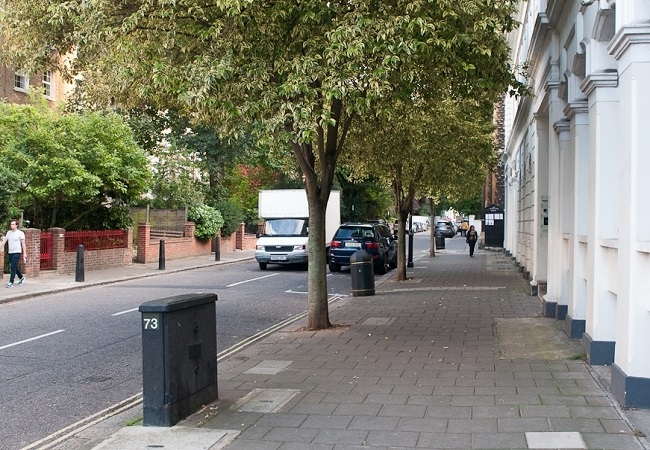 In foggy Albion there is a whole small quarter dedicated to the most famous Russian cities - Moscow and St. Petersburg. According to one of the versions, the rich engraver Edward Orme was engaged in arranging the “Russian district”. In the first decades of the XIX century, he actively worked with Russia, and it was thanks to his trade relations in London that there now exists a quarter where you can walk along Moscow and St. Petersburg streets. According to another version, the streets, named after the main Russian cities, appeared in the capital of Great Britain after the visit of Emperor Alexander I. In 1961, Leningrad and Dresden became sister cities. This friendship is reflected in the names of streets and various businesses. 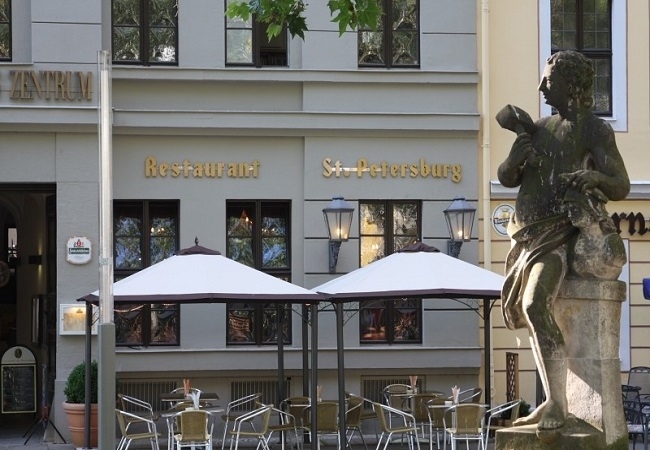 Thus, Dresdenskaya Street and the Dresden store appeared in Leningrad, and in the sister city Leningradskaya Street and the Neva Hotel with the St. Petersburg Restaurant.